Year: 1951 Item #: 649 Views: 3,324 Comments: No Comments. Ready... Steady... Glow! 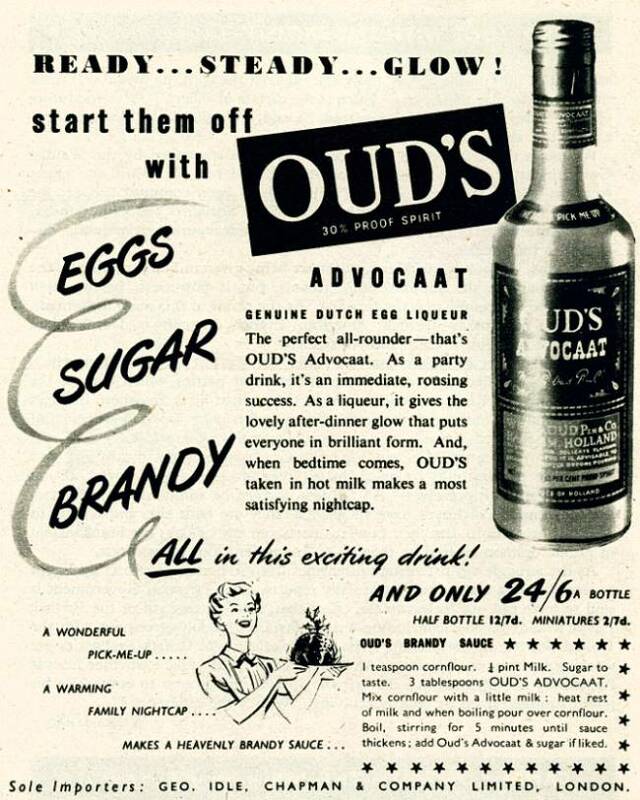 start them off with Oud's Advocat - Eggs, Sugar, Brandy, All in this exciting drink!